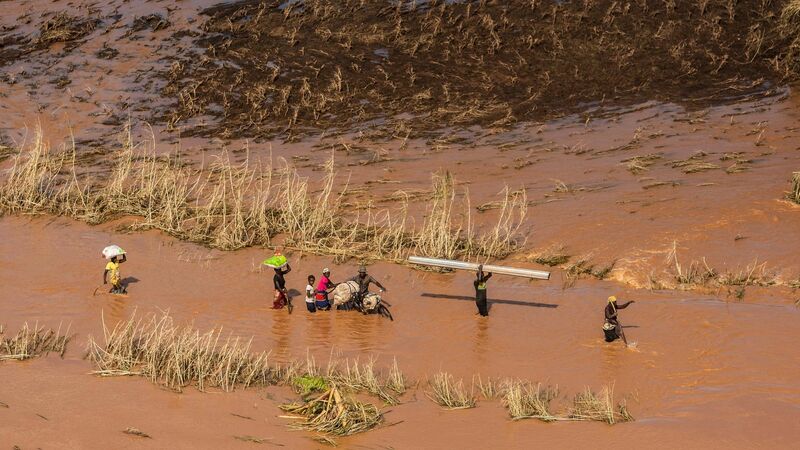 After making landfall earlier this month, Cyclone Idai caused devastating flooding and destruction throughout Mozambique, Malawi and Zimbabwe, leaving up to 1,000 people feared dead and hundreds of thousands displaced. The big picture: The UN called Idai "one of the worst natural disasters to hit southern Africa in living memory." Shortages of food and clean water and the risk of contracting fatal diseases like cholera or malaria only make the situation worse. Details: Like the Ebola outbreak in the Democratic Republic of the Congo, the post-Idai emergency didn't initially receive the attention crises of this scale often do, though the international humanitarian system has begun to respond. Farmers have lost crops and livestock in the floods, and many impacted areas were already facing food insecurity. In response, the UN's World Food Programme has sent 20 tons of high-energy food, but more supplements will be needed. Regional communications and transportation remain major challenges. Local officials are rushing to restore power while government workers slowly repair and reopen roads that were washed away. Experts have warned of a "ticking time bomb" of disease as survivors are exposed to bacteria-infested flood waters. The World Health Organization has sent 900,000 oral cholera vaccines to the region (at least 5 cases of cholera have already been reported) and is preparing to send 900,000 bed nets in anticipation of a spike in malaria. The U.S. Agency for International Development (USAID) has authorized $700,000 in emergency assistance — an amount likely to climb — and deployed a response team to Mozambique to determine the extent of the damage. Personnel from U.S. Africa Command have also been dispatched. Nonprofit groups from Save the Children to the International Committee of the Red Cross have stepped up to deliver supplies, provide health services and help reunite families. The bottom line: Even the smallest shocks to regions like southern Africa can trigger vicious cycles of poverty, violence and conflict — and the devastation caused by Cyclone Idai was anything but small. Hundreds of thousands of people now depend on a robust international response that will need to be sustained from emergency management through to rebuilding.